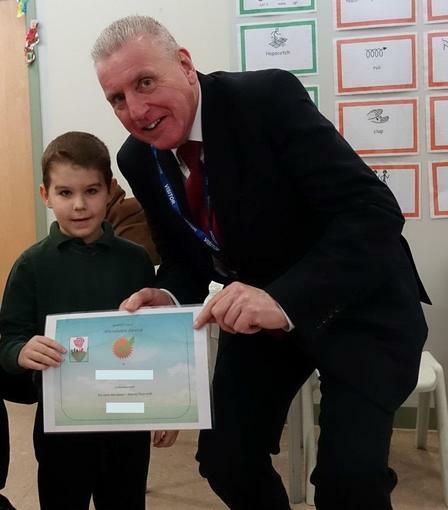 He handed out our weekly Gold Award, Attendance Cerfiticates to our Primary Children and was served by out young adults who help run the Rosehill Café. 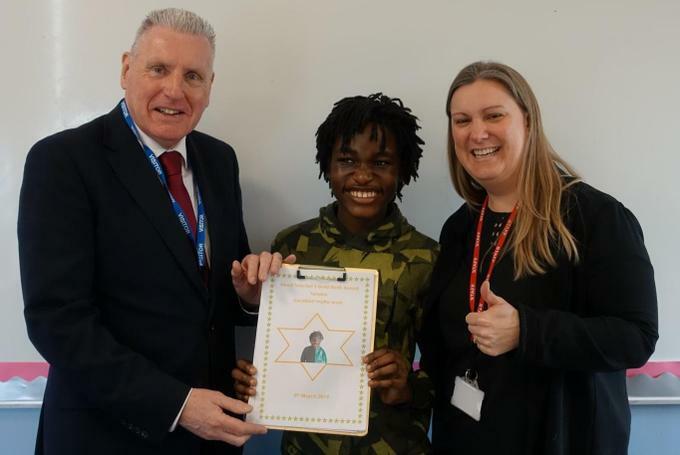 I attended Rosehill School which is an Outstanding special School, in Nottingham City, for children and young people aged 4 – 19 years with autism and associated learning needs. During my visit I was shown the wonderful achievements and exciting opportunities that pupils access on a daily basis as part of the holistic curriculum the school offers. 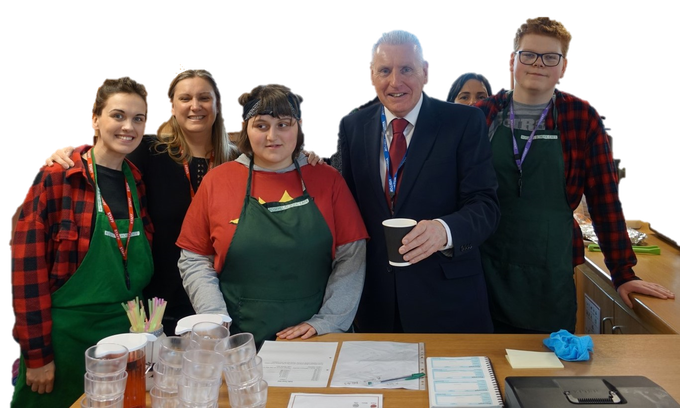 I enjoyed meeting pupils, staff and parents across the school and in the school café, which has been set up as part of the schools ongoing commitment towards developing work related learning opportunities. Whilst there, I presented pupils from the Primary and Middle School with awards in celebration of their attendance and achievements.